Since I stared having gallery ads on ArtCal, I've tried to be rather picky about what other ads are on the site. 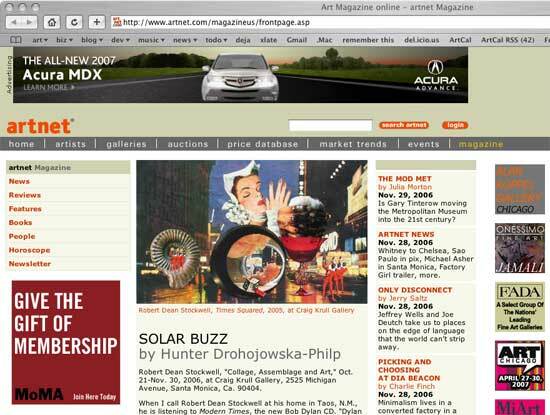 Given that my ads cost a fraction of those on Artnet, I was surprised, when looking at the magazine page today, to see an animated Acura ad at the top. Here is a (non-animated) screen grab. This page is an archive of entries in the Media category from November 2006.